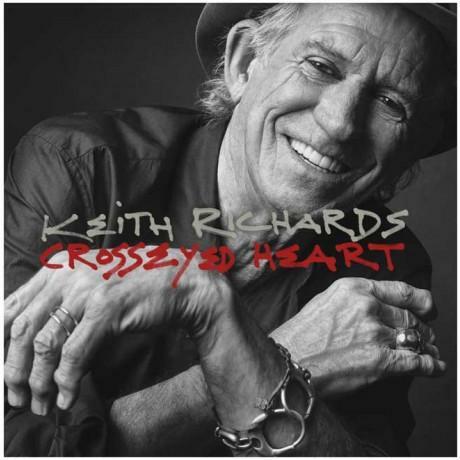 The new Keith Richards solo album "Crosseyed Heart" was released on Friday September 18, 2015. Keith Richards' first solo album since 1992 opens like a fever dream, with the 71-year-old rock god croaking acoustic blues like Robert Johnson after burning down a half-ounce spliff. But it's a feint. "All right, that's all I got," he snaps just under two minutes in, before upshifting into his most eccentric and best-ever solo set. Crosseyed Heart is the sound of Richards following his pleasure wherever it leads, with a lean, simpatico team including longtime session pals Steve Jordan, Ivan Neville and Waddy Wachtel backing him up all the way.